Thinking of using some fighta bomas but dont want to spend the amount GW want for them. Does any one have any good examples of proxy's or scratch builds ? any ides welcome !!! pictures would be ideal !!! If you're looking for 28mm stuff, there certainly are a heap of threads. For Epic, Quase proxied these. They look pretty darn good. eBay can be your friend as well. I picked up about 9 Fighta Bommas for the fabulous price of $12. I don't know about proxy, but I know you could build some. Or, as its Epic you want, try 1/300th scale wargames aircraft such as these from Scotia Grendle - try WWII american carrier aircraft such as the Dauntless or Devastator - £1.25 a piece. Scotia also makes a MiG 15, which has very similar look to the existing fighta bomma. have you dun this ? Any ideas on how to build a fighter bommer that small? I love the idea of using the dauntless dive bommer ! with a small amount of conversion it could look very good !! well it really all depends on how good you are with greenstuff or plasticard. I was thinking of using some plastic tube as the body of the planes and then make wing out of plastic sheets. maybe need a bit of greenstuff for the nose of the plane. I wouldn't worry to much about detail just get the basic shape of a plane and your should be fine. No I haven't made any. I don't play orks in epic, as of yet anyways..lol Good luck if you can make it work. Have tryed to create Fighta bommaz from green stuff and plasticard but the results have less than successful It appears that my modeling skills are not up to much ! any one got any other ides /sugestions ??? 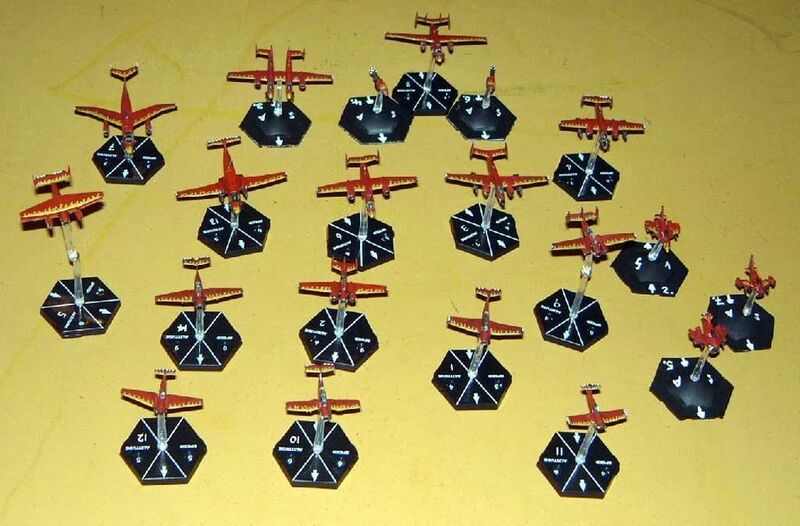 I have several airplanes from Crimson Skies game. Got them for really cheap. Not these, but similar. Will take a picture. i have couple of Crison Skies planes as fighta-bommaz- you have to remember they are on the big side though, thats the only problem as one was spot one, but one was just far too big comparing to others. 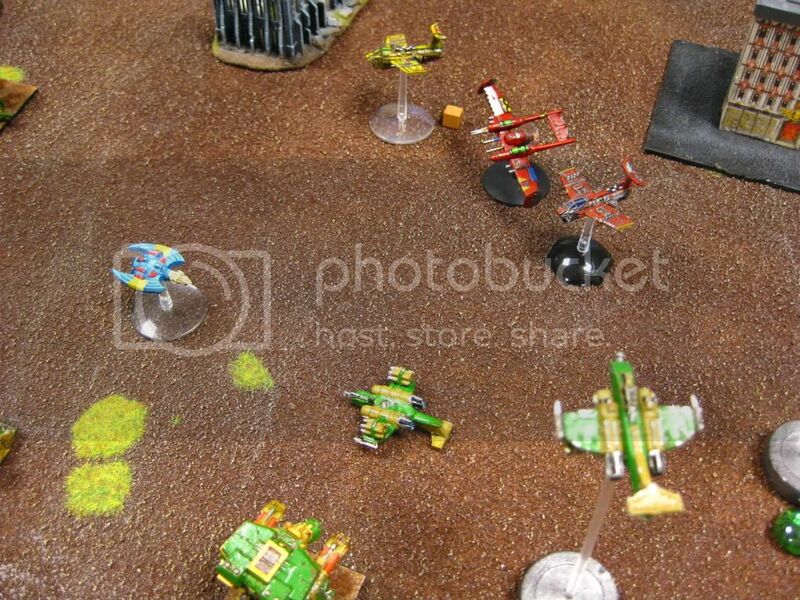 You can see my repainted crimson skies airplane in action along with some FW ones. Yeah. 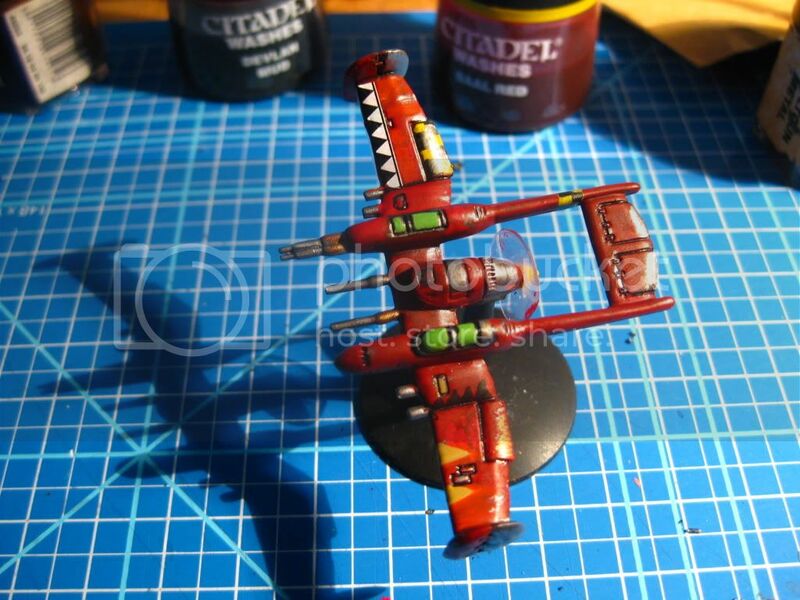 The Crimson Skies planes should be perfect, and many of the are very Orky. @leaxe That fighterbomer is great ant the painting is fantastic !!! Will look into this Thanks... edit:- I have had a quick search but can only find info on a computer game of the same name ??? Am I missing something ? Could you let me know who manufactuers them ? I got them through ebay. It was Wizkids perhaps. ? I made my Ork Fightas and Fighta Bombas from the Trumpeter range. They're 1/350 scale planes for the decks of Aircraft Carriers etc. Led by Da Red Barrun of course! I use them for Aeronautica primarily but am just getting into Epic and they work perfectly there as well! 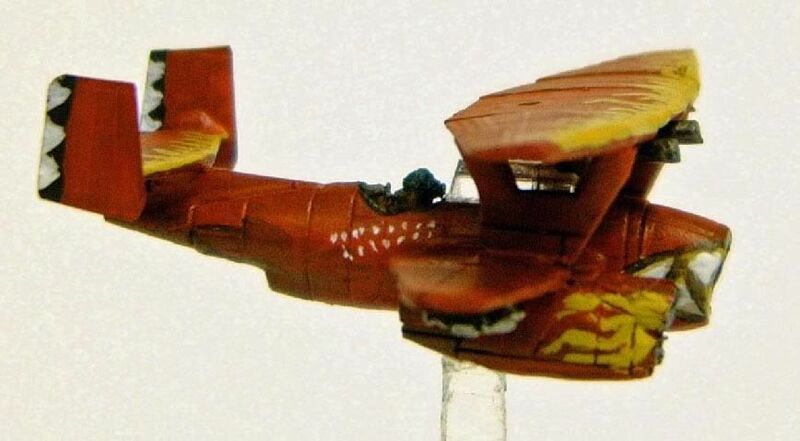 Man those Crimson Skies models are amazing! This one (albeit some conversion work) might also make an interesting stand in. Browsing through this thread might also give you some ideas.